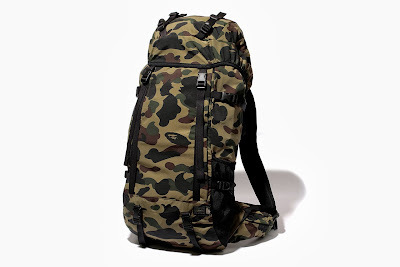 Mr Bru Cru: Bape x Porter CAMO Book Bag. Bape x Porter CAMO Book Bag. I have a camouflage book bag already thanks to my little sister and Herschel. As much as I love it I want a new one. I've seen tons online but this one right here is perfect. Except for one thing. BAPE is stupid expensive and even if I attempted to purchase one it would probably be sold out. This is my way of window shopping. Sigh. If anyone wants to get this bag, click here.